Set in the Oklahoma territory in the early 1900s, this musical tells the story of two pairs of lovers. Curly is a cowboy who has trouble admitting his feelings to Laurey, as she does to him, because of their stubbornness. Judd, the hired hand at Laurey’s farm, tries to come between them. Ado Annie is torn between Will, a cowboy who has strong feelings for her, and Ali Hakim, a peddler who’s a ladies’ man. 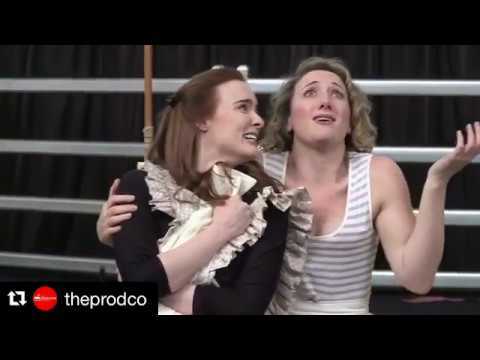 Elise plays Ado Annie – the naive, youthful, unrepentant maverick feminist! Meanwhile, in the Oklahoma Territory of 1906 where they all live, farmers and ranchers lock horns in a battle over water rights and fences. Directed by Chris Parker and Musically Directed by Guy Simpson, with Choreography by Amy Campbell, OKLAHOMA! 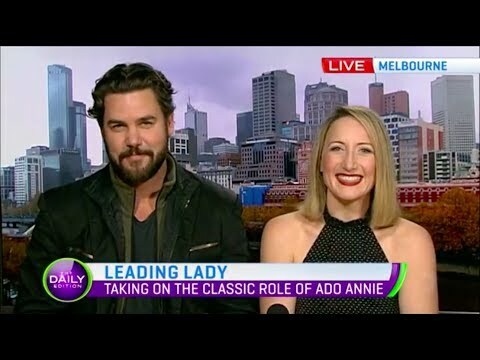 features an award-winning line-up of stars including Elise McCann as Ado Annie Carnes, Simon Gleeson as Curly, Anna O’Byrne as Laurie, Bobby Fox as Will Parker, Robyn Nevin as Aunt Eller, Ben Mingay as Jud, as well as Richard Piper, Grant Piro, Greg Stone. OKLAHOMA! features countless musical theatre hits including Oh, What a Beautiful Mornin’, The Surrey With The Fringe On Top, People Will Say We’re in Love, I Cain’t Say No and the title song Oklahoma!. 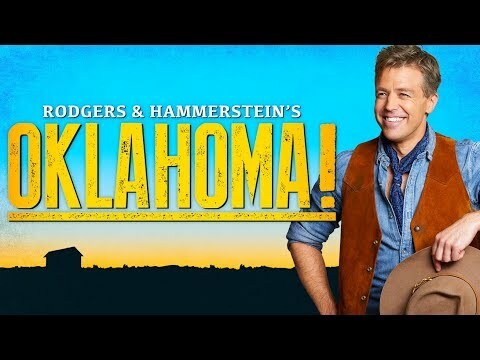 “The Production Company begins their landmark twentieth season with a concert staging of Rodgers and Hammerstein’s Oklahoma!that is simply as good as it gets.